We are pleased to announce that Childs Gallery will be featuring Robert S. Neuman prints at the International Fine Print Dealers Association (IFPDA) Fair in New York. 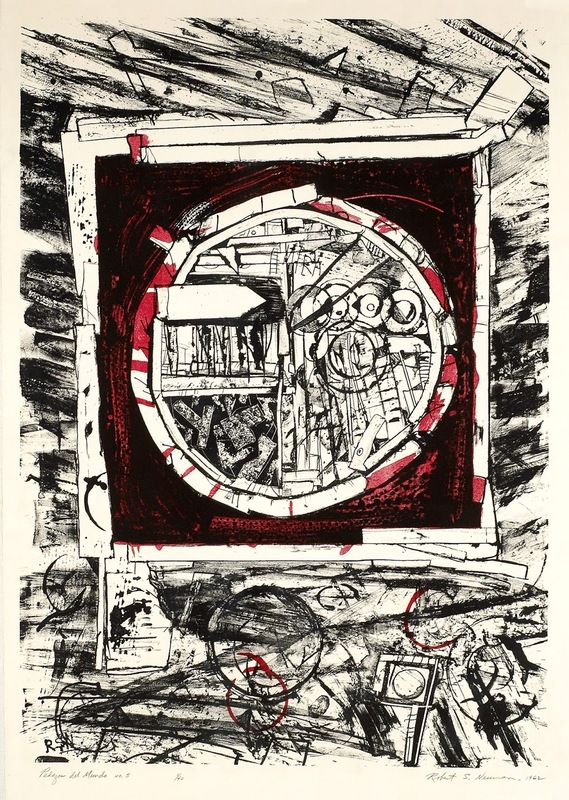 A number of prints by Neuman will be exhibited including Pedazos del Mundo #5, 1962, displayed to the right. Pedazos del Mundo #5 is in the permanent collection of the Boston Museum of Fine Art, MA; Museum of Modern Art, NY; and Colby College Museum of Art, Waterville, ME. The Show opens Thursday, November 5th and runs through Sunday, November 8th and is being held at the Park Avenue Armory, 67th and Park, NY. Childs Gallery can be found in Booth 302.